Now that the holiday rush is over and the novelty of the New Year has passed, it is a good time to look at the year ahead. At the two-week mark in January, statistics show that nearly 50% of all people that make New Year’s Resolutions have abandoned them at this point. I tend to think this is because most “resolutions” aren’t realistic and cannot be incorporated into a healthy lifestyle. I love the idea of reflecting on the year past and setting realistic goals for your year rather and incorporating them into your schedule, so they become part of your lifestyle, rather than making resolutions. Your goals can be reevaluated on a regular basis; make your goals attainable and integrate them into your every-day life. Find an Accountability Partner – Making changes is hard enough, but doing it alone is even harder! Find a partner that you can connect with, one that will motivate you, inspire you, that will be an ear when you need someone to listen, a shoulder when you need it, and someone who isn’t afraid to give it to you straight. It is helpful if this person is going after the same goal; you are stronger together! Set Attainable Goals – Setting realistic goals is important. If you want to run a marathon, you may want to set milestones to get there. Going from vegging out on your couch one week to a full marathon the next is not realistic. This is how people break resolutions. Set a long-term goal and milestones along the way. For example, if your goal is to eat more real food and you’ve never cooked anything outside of a frozen meal, start with integrating one fresh meal a day, look up recipes online, plan your meals, shop smarter, and you’ll be a real food expert in no time! Make Your Goal Part of Your Day – If you set a goal, you need to schedule time to accomplish it; what you make time for is your priority. Set a reminder in your phone, write it in your calendar, block out the time in your schedule. This is how your “goal” becomes part of your lifestyle; you integrate it into your daily life! Document Your Success…and Failures – Let’s face it, there will be good days and bad days. Write them down: the good, the bad, and the ugly. You will be able to modify your milestones and your end goals by this documentation. If you failed one day, write down why. You’ll be more successful if you learn from your mistakes…and don’t forget to celebrate your successes! Believe in Yourself! – This is hard to do sometimes; this is why it is important to have a support system (see #1 above). If you set the goal, you can modify it, you can create milestones, you can set your own pace. Focus on your progress, not just results. Just because you slip up one day, doesn’t mean you are starting over – it is a lifestyle change, not a simple one-time resolution, right? You can do it! January is generally a very cold month and because of that, not only is it National Soup Month, but it is also National Oatmeal Month. 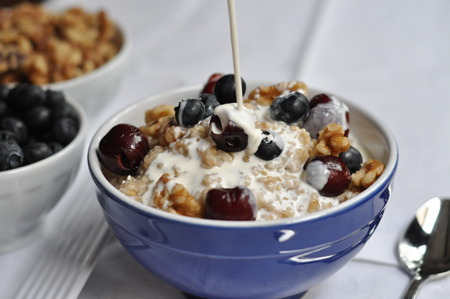 Did you know that more oatmeal is sold in January than any other month in the year? I am a big fan of Oatmeal for breakfast and I love making a big batch of steel cut oats and eating them throughout the week, mixing in different fruit each morning. Here is my go-to easy recipe that is sure to keep you full of energy for whatever your day brings, and especially perfect for these extra cold January mornings. There’s a great outdoor cafe in Los Angeles called Urth Cafe and you might have seen it on Entourage – Vinnie and the boys eat there in nearly every other episode. It is a major celebrity haunt. Anyway they serve this amazing bowl of steel-cut oats with all the fruits, nuts and milk served on the side as you see here. It is one of the better breakfast dishes in town and now you can bring this celeb-favorite home for yourself. After the holidays, you want to eat something pure, healthy and fresh so you can sort of recover as you venture out into the cold and shop your heart out. 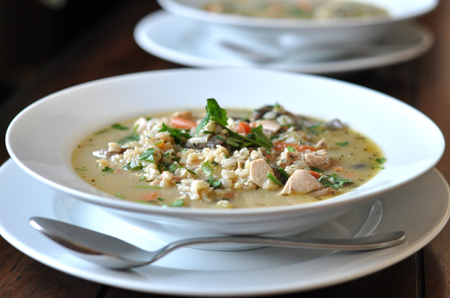 And there’s still no better feel-good meal than a homemade soup to warm you up. Low in fat and high in nutrients, perfect for detoxing from a food hangover. Add some toasted sourdough bread for the perfect PC Combo (if you don’t know what a PC Combo is, check out my book Skinny Chicks Don’t Eat Salads or the Flat Belly Food System). Step 1 – *If you are using raw meat, cube the meat and marinate for at least one hour with minced garlic, sea salt, pepper, cayenne pepper, extra virgin olive oil and dry thyme. Step 2 – Sauté in 1 teaspoon of olive oil and set aside until the last five minutes of cooking the soup. Step 3 – Combine first 13 ingredients in large pot. Bring to boil. Step 4 – Reduce heat, cover and simmer for about 20 minutes. Step 5 – Add turkey and rice and simmer for 5 more minutes. Step 6 – Stir in fresh parsley. Season soup with sea salt and fresh cracked pepper. Step 7 – Ladle soup into bowls. Sprinkle with fresh lemon juice and serve. Something very exciting is happening this month! 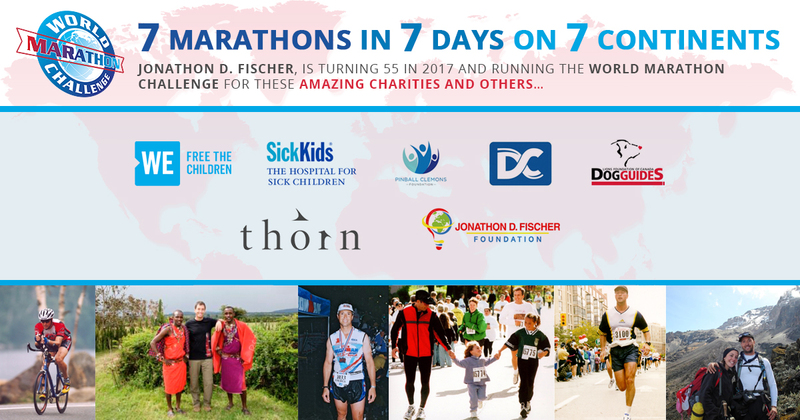 My incredible husband, and chairman of JDFF, Jonathon Fischer, is running The World Marathon Challenge! I am so excited and very proud of him. This is something that he did not just “decide” to do last minute; he set a goal, then smaller milestones, and worked very hard to get here. You can read a personal note from Jonathon and how he trained for the marathon here. This is a huge encouragement for anyone trying to set goals for 2017. The World Marathon Challenge is this: 7 Marathons in 7 Days on 7 Continents! It is the only event that offers the opportunity to run 7 marathons on 7 continents in 7 days. Participants run 295 km (183 miles) over the seven-day period, spend 59 hours in the air and fly approximately 38,000 km (23,612 miles). Michael Wardian won the 2008, 2009 and 2010 US 50 km championships and the Washington D.C. Marathon in 2010, 2011 and 2012. To read more about the race, you can view the full press release on the JDFF website. You can also connect with JDFF for updates on Twitter and Facebook the week of the race – send him your well wishes and encouragement on social media! 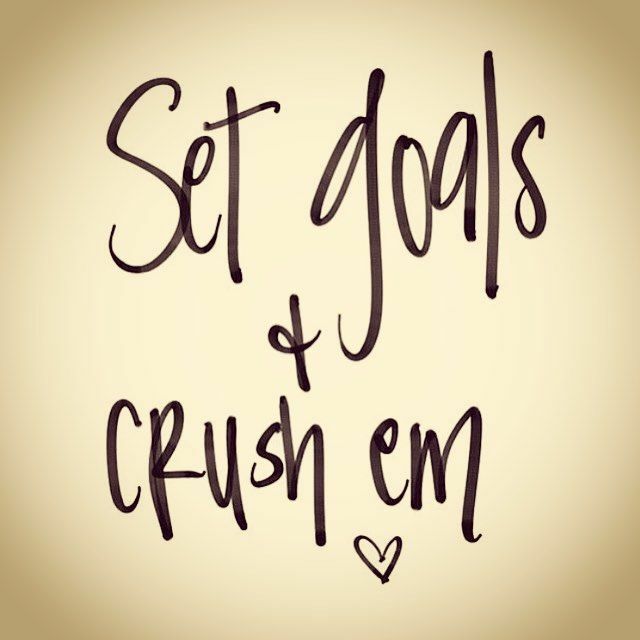 I would love to hear what goals you are setting for the New Year; connect with me on Facebook and Twitter to get the conversation going.